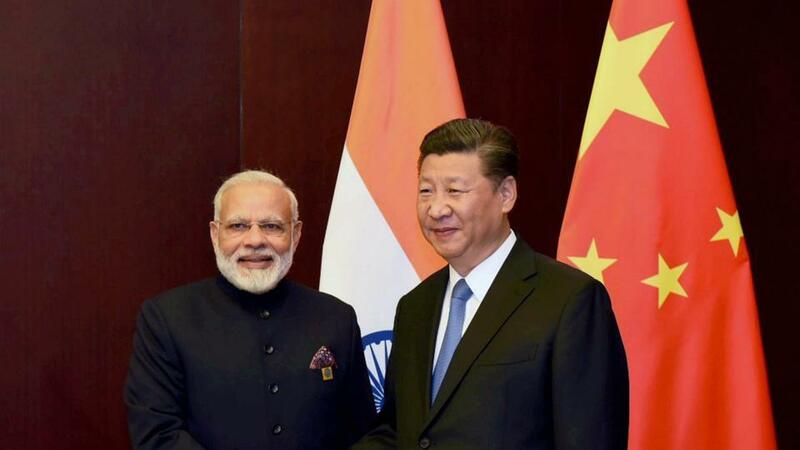 (TibetanReview.net, Apr25, 2018) – Ahead of a much-heralded informal summit meeting between Indian Prime Minister Mr Narendra Modi and Chinese President Xi Jinping in the Chinese city of Wuhan over Apr 27 to 28, it has become clear that certain fundamental differences between the two sides will continue to remain. China will not budge an inch in its anti-India support for Pakistan and New Delhi will not yield to Beijing’s persistent call on it to join its Belt and Road Initiative quest for global dominance. China failed to get India’s support for its ambitious Belt and Road initiative – Xi’s landmark scheme to build infrastructure to connect China to the rest of Asia and beyond, a giant reworking of its old Silk Road – at the end of a foreign ministers’ meeting of a major security bloc on Apr 24, ahead of an ice-breaking trip to China this week by India’s prime minister, reported in.finance.yahoo.com Apr 24. The report noted that India had not signed up to the initiative as parts of one key project, the $57 billion China-Pakistan Economic Corridor, which runs through Pakistan-administered Kashmir that India considers its own territory. During the Apr 24 China and Russia-led Shanghai Cooperation Organisation meeting, all the other foreign ministers – from Kazakhstan, Kyrgyzstan, Pakistan, Russia, Tajikistan and Uzbekistan – “reaffirmed support for China’s Belt and Road proposal”. India, along with Pakistan, joined the group last year. Meanwhile China on Apr 23 reassured Pakistan that relations between the two countries were as firm as ever and would “never rust”, reported Reuters Apr 23. China will continue to firmly support Pakistan, the report cited China’s top diplomat, State Councillor Wang Yi, a telling Pakistan’s Foreign Minister Khawaja Asif at a meeting in Beijing. “Our iron friendship with Pakistan will never rust and be tempered into steel,” Wang was quoted as saying. Earlier, on Apr 20, on the eve of India’s External Affairs Minister Ms Sushma Swaraj’s visit to Beijing for the SCO meeting, China made a direct rebuttal of India’s criticism of Pakistan for training and exporting terrorism, praising its all-weather friend for supportive role in fighting the scourge of global terrorism, according to India’s PTI news agency Apr 20. This referred to Mr Modi’s Talk in London on Apr 18 accusing Pakistan of exporting terrorism and terming it as a ‘terror export factory’.